Discuss solar stop signs for 4 way stop at Hwy 14 and Business 163. Discuss loader purchase for fiscal 2019 budget. Set fiscal 2019 budget hearing time and date. Resolution changing March 2018 council meeting date. Amendment and approval of changes to Resolution No. 3-2018. 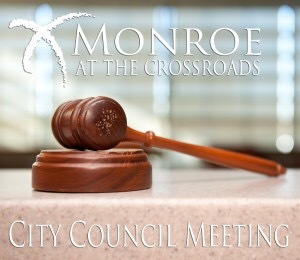 Resolution approving transfer of funds within the City of Monroe. Citizen request for sewer forgiveness. Jersey Freeze 5K request for street closings.